INSIDERS -- a visually groundbreaking, state-of-the-art nonfiction series that outshines Eyewitness and Discoveries. This stunning new series offers an inside look into twelve riveting subjects, beginning with Dinosaurs, Egypt, Oceans, and Space. Expertly written, each book will feature an arresting design, complete with dynamic, multi-layered CGI and 3-D model imagery that is complemented by fascinating, up-to-date information presented in a user-friendly format. 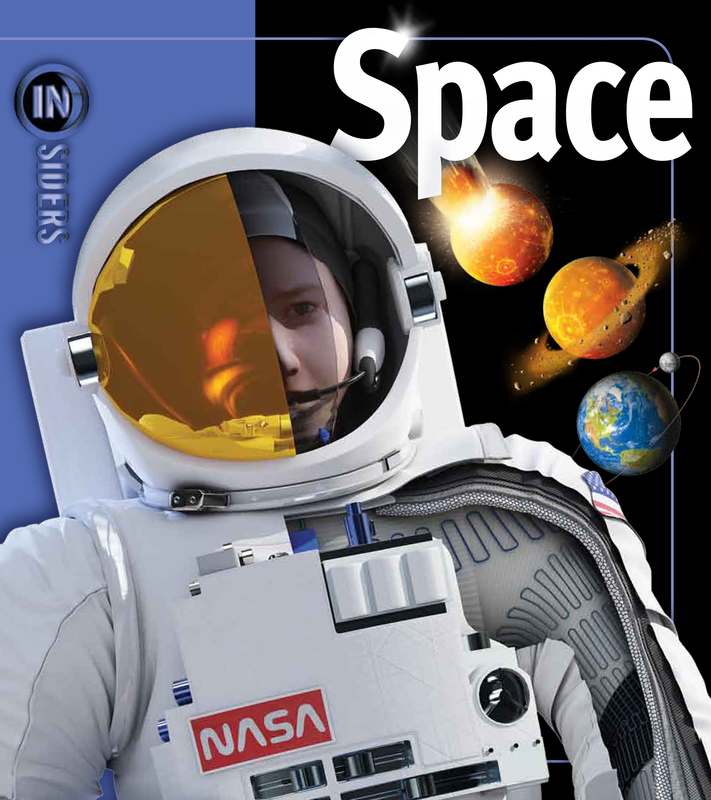 With state-of-the-art illustrations that reveal the anatomy of a supernova; provide a glimpse of the inner workings of a comet; and probe the surface terrain of Mars, Space is a young explorer's guide to every aspect of the universe. Alan Dyer, one of Canada's foremost experts on astronomy, is the resident astronomer at the TELUS World of Science in Calgary, Alberta. He is also the author of INSIDERS: SPACE, published in 2007. Asteroid #78434 is named after him.